Don’t afraid this template 100% Fully Responsive already build. 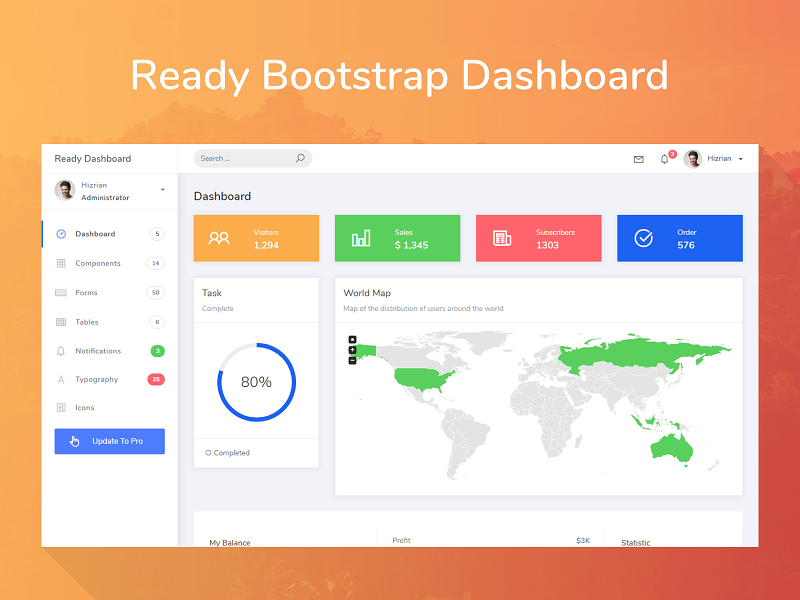 Ready Pro deeply customizes Bootstrap with native look and feel. Available components include Cards, Charts, Notifications, Maps, Buttons, Inputs and much more. with your fellow Web Developers ! By downloading this freebie, you agree to get notifications when ThemeKita released a new product.